Replace your old, dying or defective battery with a new one for the AT&T model Samsung Galaxy S II. Replace your old, dying or defective battery in an AT&T model Samsung Galaxy S II. The Samsung Galaxy S II was announced on February 13th, 2011 and was released in May of 2013. It succeeded the Samsung Galaxy S. The S II came with the newest Android operating system, "Gingerbread." The Galaxy S II came with a 1.2 GHx dual-core "Exynos" processor, 1 GB of RAM and a 10.8 cm (4.2 in) WVGA Super AMOLED Plus display. Its display features Gorilla Glass for added durability and an oleophobic, fingerprint-resistant surface. The S II was one of the first devices to use NFC or Nier Field Communication technology. 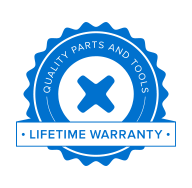 Select your model to see what parts iFixit offers!